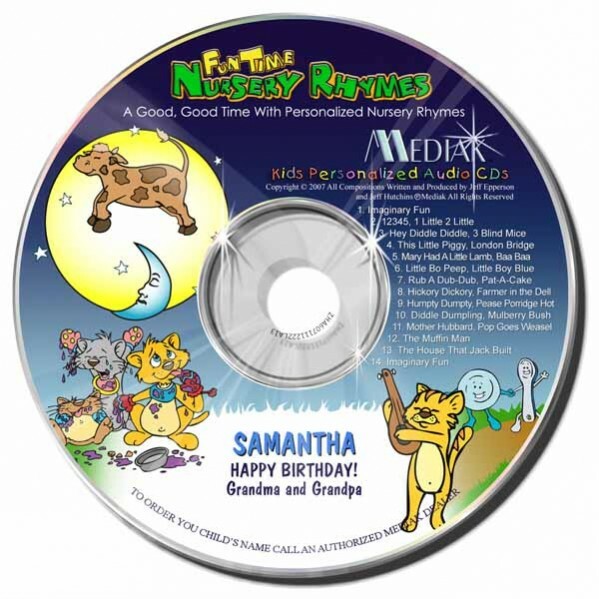 This personalized music DVD contains 12 classic nursery rhymes enhanced with upbeat music, special effects, and a narrative story. These comical renditions will be a good, good time and hours of fun. The child's name is used 22 times.